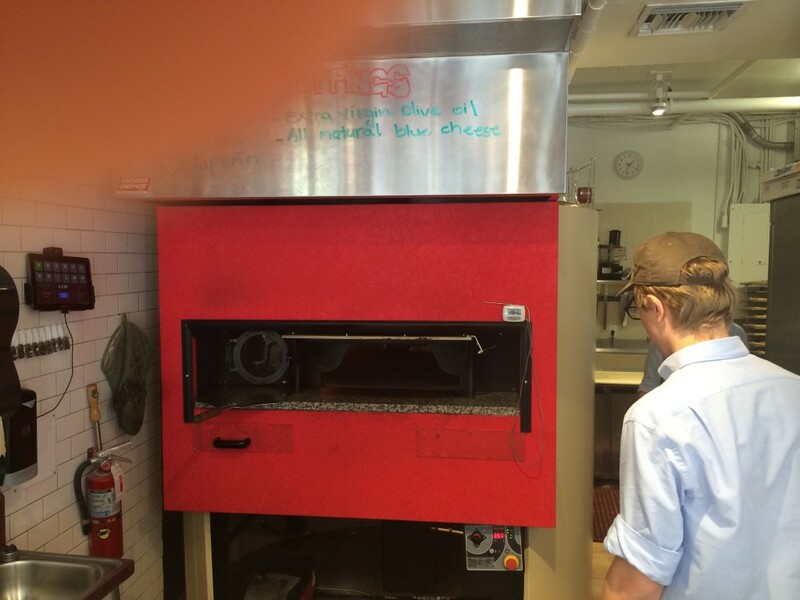 A loyal reader recently typed an email to me suggesting I try one of his favorite places to grab pizza in South Beach. The place he mentioned was Blocks Pizza which is located on Washington Ave. I had the opportunity to be down in that area and decided to walk from my hotel over to Blocks and see if it was any good. Blocks was nothing fancy inside but it had an open and clean feel to it. Not many tables, but an easy to see pizza counter with a door open to the of the kitchen so you can see what sort of goes on there. The different oils they had on the counter intrigued me but I didn't want to ruin the first tasting by adding anything additional. 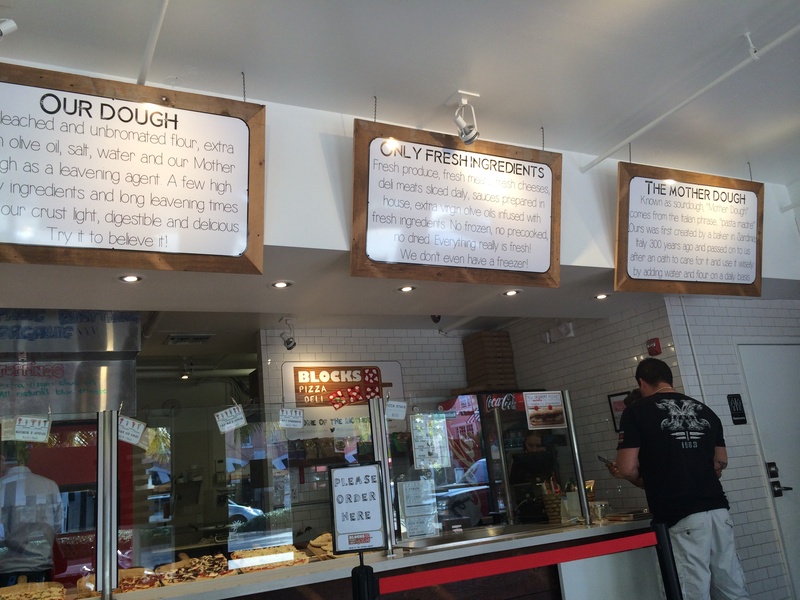 Blocks Pizza Deli is all about freshness, we make artisanal roman style pizza one “block” at a time. We offer five signature pizzas or you can top your own... Don’t feel like pizza? We cover all sorts of cravings with our home baked Blocks pockets and freshly made salads! Our Total taste experience is only half the story. The dough at Blocks is made with the “Mother Yeast” and leavened for three days, this makes our pizza easy to digest and rich in minerals. We carefully select seasonal, organic and fresh toppings to recreate the culinary delights our ancestors enjoyed for centuries. We only allow fresh ingredients, from our homemade sauces to seasonal vegetables, fresh deli meats sliced before you and tasty gourmet cheeses. We don’t dry, we don’t freeze, we don’t change the rules of nature because nature knows best. I ordered a slice from the Scandinavian looking fellow behind the counter who ended up being the owner and from Italy, and waited for my slice to arrive. When the slice came out of the oven I was about to mention I only ordered one slice and not four, but I realized they have nice size slices and part of their schtick is to cut them into small square blocks of pizza. Ahhhhhh so now the name makes perfect sense. When I bit into this slice, it became immediately evident that they weren't kidding when they said they use the freshest ingredients. This pizza tasted clean, and fresh. 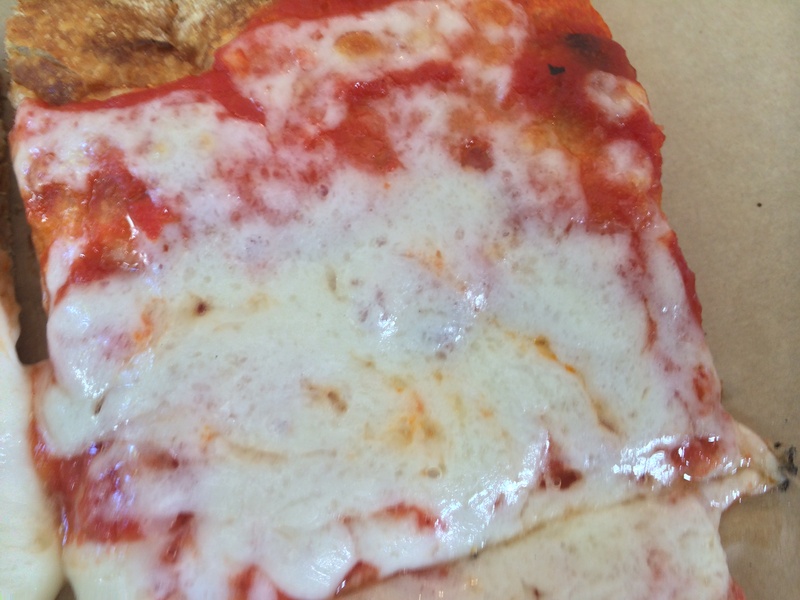 Although clean seems like an odd word to use for a slice of pizza, once you go to Blocks Pizza in Miami Beach you might very well have the same reaction after your first bite. The cheese was ridiculously fresh, and it was applied over a light coating of sauce that seemed like it came fresh from some tomatoes he smoothed out. The dough was extremely tasty and had no flaws. For $3.00 a slice, which I know is still a bit much for a slice of pizza, you cannot go wrong at Blocks Pizza. Considering the rental rates in South Beach, and what the neighboring pizzerias charge for sub par slices, this should become the go to place for anyone wanting a fresh and delicious slice. 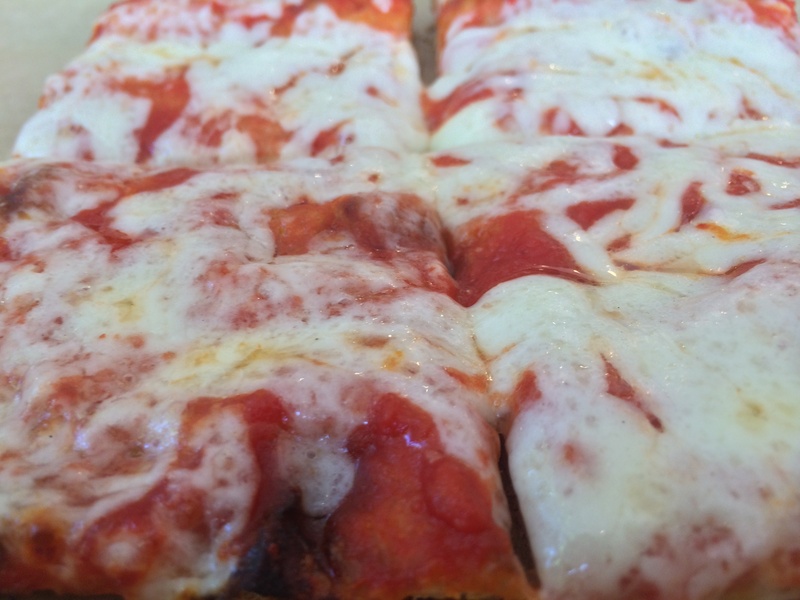 Now, if you are looking for a greasy thin crust slice of regular pizza, you might be better off at a place like Gino's. But for those who don't mind going a little out of their way, I highly recommend Blocks Pizza. Hopefully he will open other locations soon. You can find the menu here. 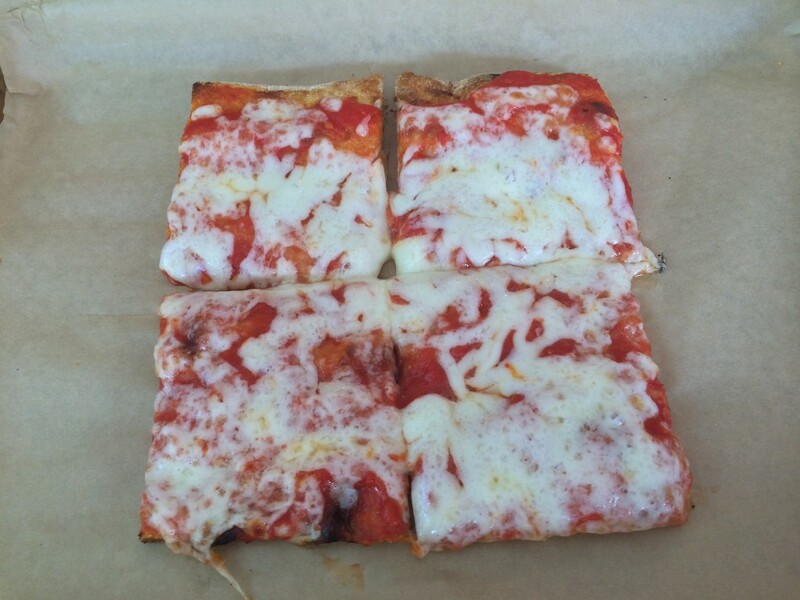 Blocks Pizza in Miami Beach gets 7 out of 8 slices.